Hit-Magazine WordPress theme has been essentially designed to embellish your enterprise website with impressive looks and amazing features. 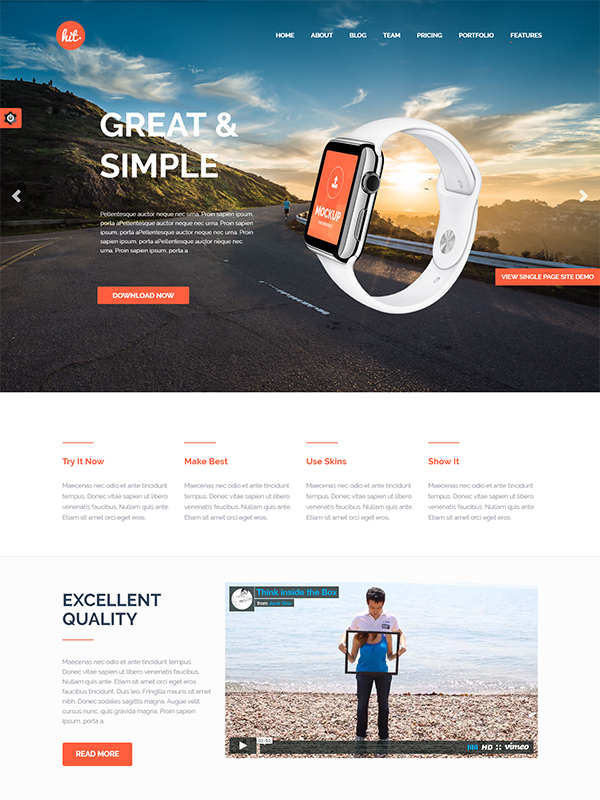 This theme can be used for enterprise websites as well as by freelance professionals for building multi-purpose websites. Equipped with several options for homepage, blog, about us, team and pricing layout options, it is easy to create a truly distinct website for your business. In addition to these striking features, there is an impressive shortcode resource that you can utilize to enhance the functionalities of the website. Being a Responsive WP theme, it is compatible with all the major browsers as well as the devices. Adorned with plugins like Visual Composer, Revolution Slider, and Contact Form 7, this theme is bound to take your business to new heights. We follow a mobile-first approach and with the help of CSS media queries, resizeable images, and BootStrap 3.0, we create responsive pages that are rendered with equal sharpness and clarity on different browsers and devices. You never run out of options when it comes to customization of the theme. 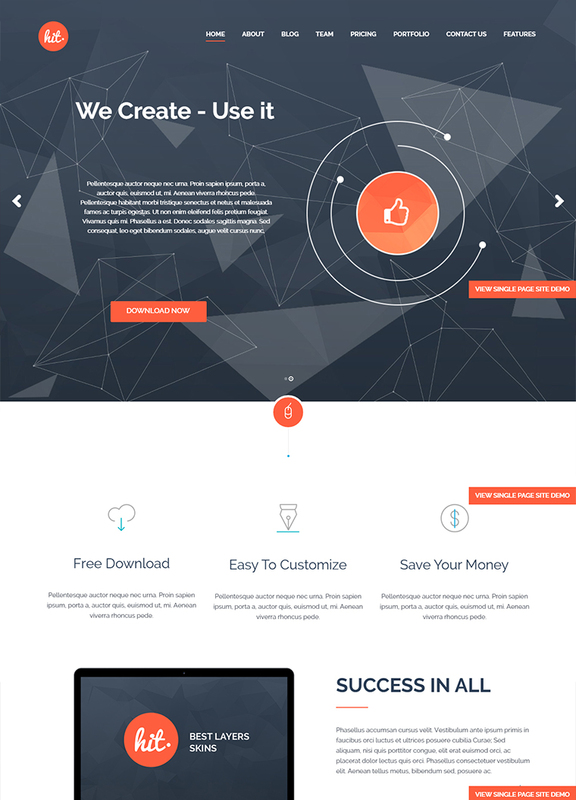 Hit WP theme comes with 5 options that can be selected for home pages. With our theme, you are always spoilt for choices when your website is driven by Hit Theme. We provide this premium plugin along with our theme in order to enable you to create pages for your website with all the features that are available for other pages. Creating new pages with Visual Composer is quite easy and does not require coding skills. Hit Corporate and Multipurpose WordPress theme has been designed to be compatible with WooCommerce plugin. Thus, you can add shop feature to your website at the later stage as per your requirement. A website is incomplete without sliders. Sometimes, you may need to add sliders to a new page. Revolution Slider lets you add new sliders to the web page of your choice. Every website needs blogs for promotion. We have sensed this need and therefore, added multiple blog pages to the Hit WP theme. All you need to do is to write the blog and upload it. Your corporate websites can render a definitive look and feel with Hit WordPress Theme. The use of Retina images and Google Web Fonts makes this theme highly usable. Built by skilled and creative developers, the theme is a manifestation of our craftsmanship and domain knowledge. Compatible with BuddyPress, WPML, BBPress, etc. We write W3C validated and optimized code to ensure that they are free from all kinds of bugs and errors and the theme loads fast. To enable you to add customization to the fonts used in the website, HIT WordPress theme is equipped with Google Web Fonts. HIT theme has been developed in a way to ease the installation process. After you import the demo data, you just have to click a button to install the theme. Letting your users contact you efficiently is now super easy as our theme is Contact Form 7 ready to capture the users’ data with utmost accuracy and reliability. We have a very able support team that provides timely and precise technical assistance to the users of the theme if they ever face any issue with it.